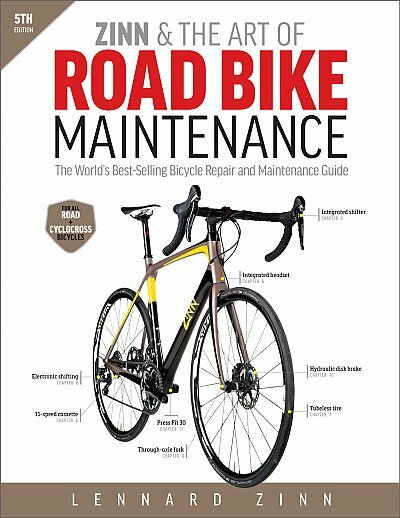 Zinn & the Art of Road Bike Maintenance is the world's best-selling guide to bicycle repair and maintenance. From basic repairs like how to fix a flat tyre to advanced overhauls of drivetrains and brakes, Lennard Zinn's clearly illustrated guide makes every bicycle repair and maintenance job easy for everyone. Lennard Zinn is the world's leading expert on bike maintenance and repair. His friendly step-by-step guide explains the tools you'll need and how to know you've done the job right. The book's two-colour interior is easy to read - even in a dimly lit garage or workshop. Hundreds of hand drawn illustrations and exploded parts diagrams show just the right level of detail to lead you through every bicycle repair task. This smartly organised guide shows how to repair new and old bicycles from top to bottom. In 500 pages, Zinn's guide includes simple instructions for hundreds of bike maintenance and repair jobs. * Basics: how to fix a flat tire, lube a bicycle chain, adjust the brakes. * Emergency repairs: how to fix a broken chain, tighten loose spokes, repair a bent derailleur. * Easy shifting: how to adjust shifters, derailleurs, and cables for clean and smooth shifting. * Wheels: how to true a wheel, install a new tyre, change a cassette, replace broken spokes, build your own wheels. * Overhauls: how to service and replace pedals, chains and chainrings, saddles, handlebars, stems, headsets, forks, bottom brackets. * New tech: how to maintain 11-speed systems, electronic and wireless shifters, disc brakes. * Cyclocross: how to set up a 'cross bike for racing, select the right components, and make quick repairs. * Troubleshooting: how to figure out what's wrong with any bike and fix it. 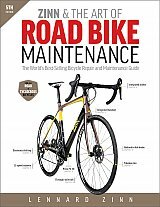 In this updated 5th edition there's new information on disc brakes, through-axle forks, SRAM eTap wireless shifting, second generation Shimano and Campagnolo electronic shifting, direct-mount sidepull brakes, SRAM X-Sync 1x11 cyclocross systems, tubular tyre gluing tapes, press-fit bottom brackets, wheelbuilding for all bikes including cyclocross and disc-brake wheels, torque tables plus much more.